Looking for a large hall for a concert or event, or in search of a small(er) room for a company party or after-party? Large, small, intimate, business or party: in Ziggo Dome World you will find the ideal location for any type of event. Really anything is possible. 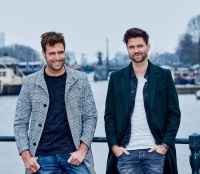 Combine an exclusive dinner with a concert in the Ziggo Dome!